The ACE Challenge was part of the programme of Challenges organised by the IEEE Audio and Acoustic Signal Processing Technical Committee. The aim of this challenge was to evaluate state-of-the-art algorithms for blind acoustic parameter estimation from speech and to promote the emerging area of research in this field. Participants will evaluate their algorithms for T60 and DRR estimation against the ‘ground truth’ values provided with the data-sets. Furthermore, they are expected to present the results in a paper describing the method used. The evaluation metrics were to be based on the ground truth values determined using established techniques across a range of dimensions in addition to T60 and DRR such as SNR, talker, and utterance length. We received over 100 results submissions from 9 teams across the world. Many thanks to all the participants. An ACE Corpus conference paper was presented at WASPAA 2015 in Lecture Session 5. The paper submissions by participants were presented as posters in Poster Session 3. J. Eaton; N. D. Gaubitch; A. H. Moore; P. A. Naylor, "Estimation of room acoustic parameters: The ACE Challenge," in IEEE/ACM Transactions on Audio, Speech, and Language Processing, vol. 24, no.10, pp.1681-1693, Oct. 2016.
supported by a technical report containing full details of the results of the challenge and additional information on the room configurations. J. Eaton, N. D. Gaubitch, A. H. Moore, and P. A. Naylor, "ACE Challenge results technical report," Imperial College London, 2016. Challenge participants were invited to present their results at the ACE Challenge workshop which was held as a satellite event during WASPAA 2015 in New Paltz, NY, USA. Submission of camera-ready papers on the ACE paper kit. 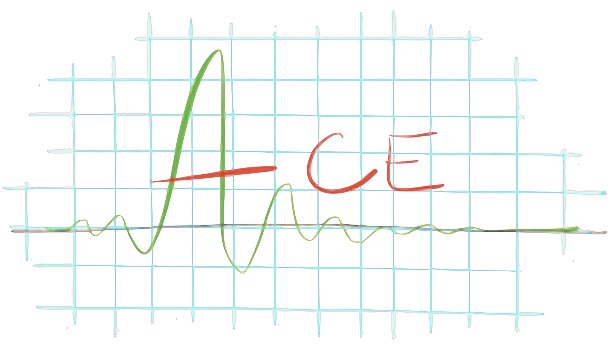 The ACE corpus of AIRs and matched noises used to create the ACE Challenge Development and Evaluation datasets is freely available under the Creative Commons Attribution-NoDerivatives 4.0 International License. Please cite this whenever you use any part of the corpus. BibTeX references are available here for the journal paper and technical report. Comprising Development (Dev): 4 male talkers, 2 utterances each, and Evaluation (Eval): 5 male and 5 female talkers, 5 utterances each, recorded using the anechoic chamber at TU Delft at fs=48 kHz in 16-bit format. Plain text (.txt) transcriptions of each .wav file are included. Each archive below contains the set of fs=48 kHz 16-bit RIRs, ambient, fan and babble noise .wav files for each room and microphone position for that microphone configuration, recorded in 7 different rooms in the Dept. of Electrical and Electronic Engineering at Imperial College London. The ACE Corpus speech, RIRs, and noises are available by registering here. An additional set of RIRs have been added to the corpus recorded using the same equipment in Office 2 using 7 DPA4060 microphones in various positions in the room including the ceiling, wall, floor, table, under the table and in a bookcase. The T60 and DRR measurements and room dimensions are included, along with 7-channel ambient and fan noise recordings. The file size is 335 MB.